Chronic pain impacts more than just the body. We know that for people living with pain, raising concerns about wider aspects of health in appointments with their health-care professional is not always easy and their concerns and worries do not always feel relevant. Doctors can also find it difficult to introduce wider issues around pain during routine appointments. Our research shows how exploring wider aspects of pain can benefit people’s ability to self-manage their pain. Material for healthcare professionals to make consultations more holistic and encourage self-management is already widely used (for example Realistic Medicine, Year of Care and House of Care) and Pain Concern has now developed a paper-based tool for patients to prepare themselves to bring up their concerns and worrries in appointments. 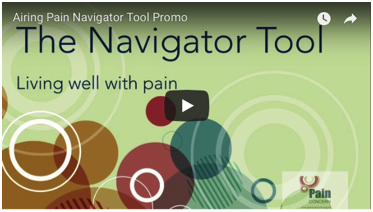 Designed to help patients navigate their concerns and bring the most important questions up in primary care appointments, The Navigator Tool was trialled 2017-2018 with healthcare professionals and their chronic pain patients. To access the full Navigator Tool, please send a request to research@painconcern.org.uk. 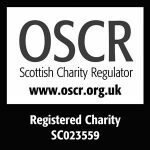 You can read a summary of the report here, the full report can be found here. You may find it useful to listen to our Airing Pain episode about The Navigator Tool study here, and read this Q&A with researcher Renée Blomkvist. A series of videos explaining the tool, featuring healthcare professionals and patients who have used it as well as experts in the field of pain management, will be posted here during self-management week (1st-7th October). The study found that the most useful aspect of the tool was the My pain concerns form, as it identifies areas of living with pain that do not usually come up in routine consultations. We encourage people with pain, and healthcare professionals caring for people with pain, to use the form in appointments. If you are the person with pain, download My pain concerns form and instructions to your tablet, computer or print a paper copy. HINT: How you feel about the statements may change from day-to-day; choose agree or disagree according to what you feel is right now. The form Questions to ask your health-care professional has some suggested questions that you might want to ask. You might also have your own questions based on the concerns you have identified. HINT: My pain concerns form and Questions to ask your health-care professional are colour-coded to make them easier to use together. If you are a healthcare professional you can give My pain concerns form and instructions to patients you think will benefit from talking about these issues. Simply print out the form and instructions at your practice and give them to your patient to prepare for the next appointment. As there is often no known cure to chronic pain, self-management has been highlighted as one of the main treatment strategies for chronic pain. Self-management of pain should not be faced alone, but with the support of healthcare professionals and people around you. Here is some material that explore what self-management is about, and provides useful information for patients who want to self-manage various aspects of living with pain. Developing the Navigator Tool was part of a wider project to improve supported self-management in primary care. In the “Breaking Barriers Project”, healthcare professionals and people with pain were asked about their experiences of self-management in primary care, and what they think can be done to improve how it is supported. Links take you to the page they are currently hosted. The Breaking Barriers Project What is self-management? Why self-management isn’t working and what we can do about it. Airing Pain 37: What is Pain? Empowering patients from GP’s surgery to Pain Management Programmes.